Veere (Dutch pronunciation: [ˈveːrə] ( listen ); Zeelandic: Ter Veere) is a municipality with a population of 22,000 and a town with a population of 1,500 in the southwestern Netherlands, in the region of Walcheren in the province of Zeeland. Zeelandic is a Low Franconian dialect of Dutch spoken in the southwestern parts of the Netherlands. More specifically, it is spoken in the southernmost part of South Holland (Goeree-Overflakkee) and large parts of the province of Zeeland, with the notable exception of eastern Zeelandic Flanders.. The name Veere means "ferry": Wolfert Van Borssele established a ferry and ferry house there in 1281. This ferry he called the "camper-veer" or "Ferry of Campu" and it soon became known as "de Veer". In the same year 1281 Wolfert also built the castle Sandenburg on one of the dikes he had built. On 12 November 1282, Count Floris V. thereupon issued a charter by which Wolfert received the sovereignty to the land and castle with the ferry and ferry house. From that time on Wolfert was given the title of Lord Van der Veer. Veere received city rights in 1355. The "Admiraliteit van Veere" (Admiralty of Veere) was set up as a result of the Ordinance on the Admiralty of 8 January 1488 in an attempt to create a central naval administration in the Burgundian Netherlands. To this was subordinated the Vice-Admiralty of Flanders in Dunkirk. In 1560 under admiral Philip de Montmorency, Count of Hoorn, this admiralty relocated near Ghent and in 1561 the Habsburg naval forces were also moved to Veere. Flanders is the Dutch-speaking northern portion of Belgium and one of the communities, regions and language areas of Belgium. However, there are several overlapping definitions, including ones related to culture, language, politics and history, and sometimes involving neighbouring countries. 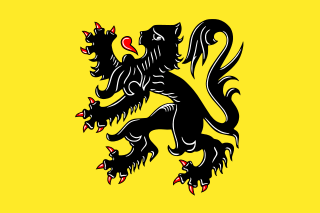 The demonym associated with Flanders is Fleming, while the corresponding adjective is Flemish. The official capital of Flanders is Brussels, although the Brussels Capital Region has an independent regional government, and the government of Flanders only oversees the community aspects of Flanders life in Brussels such as (Flemish) culture and education. Dunkirk, is a commune in Nord, a French department in northern France. It is the most northern city of France, lying 10 kilometres (6.2 mi) from the Belgian border. It has the third-largest French harbour. The population of the commune at the 2016 census was 91,412. Flemish architects Antonis Keldermans and Evert Spoorwater designed the Grote Kerk, the fortifications, the Cisterne and the town hall. During this period of prosperity, the cultural centre was located at Sandenburgh castle, the residence of the noble Van Borsele and Van Bourgondië families. Court painter Jan Gossaert van Mabuse worked here. The poet Adrianus Valerius lived and worked in the city from 1591. In the 17th and 18th centuries, Veere was a prosperous trading city, with about 750 houses inside the city walls then, compared to about 300 as of 2013 [update] . Keldermans is a family of Flemish artists, originating from the city of Mechelen in the Duchy of Brabant. The members of the family were mostly architects working in the Brabantine Gothic style. As the most important architects of their time in the Netherlands, they defined the Brabantine Gothic style, and their works can still be seen today in cities like Mechelen, Brussels, Antwerp, Ghent, Lier, Middelburg and Gouda. Anthonis II and Rombout II were court architects for Charles V. Laurens II, last in the line, was influenced by Renaissance architecture and marked the end of the Gothic period in this region. Adrianus (Adriaen) Valerius, also known as Adriaen Valerius, was a Dutch poet and composer, known mostly for his poems dealing with peasant and burgher life and those dealing with the Dutch War of Independence, assembled in his great work Nederlandtsche gedenck-clanck. The Royal Netherlands Navy (RNLN) is the navy of the Netherlands. Its origins date back to the Eighty Years' War (1568–1648), the war of independence from the House of Habsburg who ruled over the Habsburg Netherlands. The Fokker CXIV-W was a reconnaissance seaplane produced in the Netherlands in the 1930s. It was a conventional, single-bay biplane with staggered wings of unequal span braced by N-struts. The pilot and observer sat in tandem, open cockpits, and the undercarriage consisted of twin pontoons. 11 of the 24 examples produced were stationed in the Dutch East Indies. These were later joined by 12 aircraft that had escaped to the UK following the German invasion of the Netherlands in 1940. All C.XIVs were destroyed during the Japanese invasion of the Dutch East Indies. As a result of the damming of the Veerse Gat inlet in 1961, the fishing fleet of Veere moved to a new home port at Colijnsplaat on Noord-Beveland. As of 2013 [update] the main business of the town is tourism. Veere municipality reached its current expanded shape in 1997, after the addition of several neighboring towns. During the course of nearly two centuries seventeen historical municipalities have merged to become present-day Veere. Its original full name was 'Veere-de-Stad en Zanddijk-Binnen'. The city of Veere stands on the Veerse Meer lagoon on the island of Walcheren in the province of Zeeland in the Netherlands. The town of Veere forms the setting for "Van Loon's Lives", a book of contemporary fantasy written by Hendrik Willem Van Loon in 1942, in which the protagonists are able to magically summon the great men and women of history for weekend dinner parties, leading to often humorous incidents. The book was written at the time when Veere, like the rest of the Netherlands, lay under Nazi occupation, and despite its light-hearted tone clearly indicates the longing of the writer - living in the US - for his homeland whose liberation he was doomed never to see. Scottish singer-songwriter Brian McNeill based the song "The Holland Trade" from his tenth studio album The Baltic tae Byzantium on the trade and cultural ties between Veere and Scotland from 1541 on. Middelburg is a city and municipality in the south-western Netherlands serving as the capital of the province of Zeeland. Situated on the central peninsula of the Zeeland province, Midden-Zeeland, it has a population of about 48,000. Noord-Beveland(Dutch pronunciation: [ˈnoːrd ˈbeːvəlɑnt]) is a municipality and region in the southwestern Netherlands and a former island, now part of the Walcheren-Zuid-Beveland-Noord-Beveland peninsula. Noord-Beveland is enclosed by the Oosterschelde estuary to the north, and the former straits, now combined lake, of Veerse Meer and Zandkreek to the south. As part of the Delta Works, dams have connected Noord-Beveland to Walcheren and Zuid-Beveland. Zuid-Beveland is part of the province of Zeeland in the Netherlands north of the Western Scheldt and south of the Eastern Scheldt. Johannes Theodorus 'Jan' Toorop was a Dutch-Indonesian painter, who worked in various styles, including Symbolism, Art Nouveau, and Pointillism. His early work was influenced by the Amsterdam Impressionism movement. Westkapelle is a small city in the municipality of Veere on the island Walcheren, in the province Zeeland of the Netherlands. On 1 January 2005, it had a population of 2,671. Westkapelle is on the westernmost tip of Walcheren and is surrounded by the sea on three sides. Zoutelande is a town in the southwestern Netherlands. It is located in the municipality of Veere, Zeeland, between Dishoek and Westkapelle on the former island Walcheren. On 1 January 2005 it had 1,556 inhabitants. Originally, Zoutelande was mainly an agricultural village. The village's character changed slowly into a tourist resort as the demand for beach recreation rose from about the middle of the 19th century. Serooskerke is a village in the southwest Netherlands. It is located in the municipality of Schouwen-Duiveland, Zeeland about 100 km southwest of Rotterdam. Gapinge is a town in the Dutch province of Zeeland. It is a part of the municipality of Veere, and lies about 6 km north of Middelburg. Vrouwenpolder is a village in the Dutch province of Zeeland. It is a part of the municipality of Veere, and lies about 9 km north of Middelburg. The name is derived from "the polder of Our Lady", referring to the Virgin Mary. Serooskerke is a village in the Dutch province of Zeeland. It is a part of the municipality of Veere, and lies about 6 km north of Middelburg. Oostkapelle is a village in the Dutch province of Zeeland. It is a part of the municipality of Veere, and lies about 9 km north of Middelburg. Oostkapelle was a separate municipality until 1966, when it was merged with Domburg. In 2001, the village of Oostkapelle had 1819 inhabitants. The built-up area of the village was 1.1 km², and contained 953 residences. The statistical area "Oostkapelle", which also can include the surrounding countryside, has a population of around 2420. Koudekerke is a town in the region of Walcheren in the Dutch province of Zeeland. It is a part of the municipality of Veere. According to the 2018 census, the town has a population of 3419, making it the largest settlement in Veere. The built-up area of the town was 0.55 km², and contained 1133 residences. Kortgene is a village in the Dutch province of Zeeland. It is a part of the municipality of Noord-Beveland, and lies about 15 km northeast of Middelburg. Valkenisse is a former municipality in the Dutch province of Zeeland, on the peninsula of Walcheren. Middelburg is a railway station in southern Middelburg, the Netherlands. The station opened on 1 March 1872 and is located on the Roosendaal–Vlissingen railway. The services are operated by Nederlandse Spoorwegen. The station lies on the south side of Middelburg across the canal from the centre. The Inundation of Walcheren was the intentional, but uncontrolled military inundation, effected by bombing the sea dikes of the former island of Walcheren in Zeeland by the Allies on and after 3 October 1944 in the context of Operation Infatuate during the Battle of the Scheldt after the Allied Invasion of Normandy during World War II. Though the inundation was justified by military necessity, it is controversial whether it was proportional in view of the predictable devastating effects for the civilian population, and the ecology of the island. The fact that the breaches in the sea dikes of the island remained open for a very long time, subjecting the island to the full impact of the twice-daily tides, caused severe damage to agricultural land and infrastructure, and severe hardship for the civilian population. Leaving the breaches open for such a long time, which was unavoidable due to the war-time lack of resources making closing impossible, subjected them to scouring by the tides, that widened and deepened them to such an extent that closing them eventually became extremely difficult, necessitating the development of new dike-building techniques, such as the use of caissons. The last breach was closed on 23 October 1945 and the draining of the island took until early 1946. Only after that could rebuilding the infrastructure and reconstructing the housing stock and the island's economy start. Walcheren was spared during the North Sea Flood of 1953 that devastated many other parts of Zeeland. ↑ "Burgemeester" [Mayor] (in Dutch). Gemeente Veere. Retrieved 18 December 2013. ↑ "Postcodetool for 4357ET". Actueel Hoogtebestand Nederland (in Dutch). Het Waterschapshuis. Retrieved 18 December 2013. 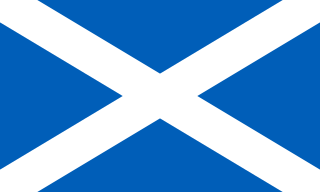 ↑ "Scotland in Europe". BBC History. Retrieved 8 April 2017. ↑ Morris, David B. (1919). The Stirling merchant gild and life of John Cowane. Stirling: Morris, David B. pp. 195–210. Retrieved 8 April 2017. ↑ "War over Holland - Zeeland - The airforce and navy air fleet bases". www.waroverholland.nl. Retrieved 13 April 2015. ↑ "War over Holland - Zeeland - The AFB's". www.waroverholland.nl. Retrieved 13 April 2015. ↑ "War over Holland - Zeeland - Capitulation of Walcheren and Zuid-Beveland". www.waroverholland.nl. Retrieved 13 April 2015. ↑ "NL06 - Operation Infatuate". www.scottishdiasporatapestry.org. Retrieved 13 April 2015. Wikimedia Commons has media related to Veere . Veere in the picture, Beautiful photos of Veere.